Julian Voigt Aerial & Satellite Services are Approved Sky TV Installers & cover Fleetwood for Satellite TV installation, Sky Dish Installation or Satellite TV Repair or Dish Realignment related enquiries issues or requirements. 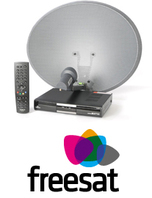 Trusted: We can be trusted to find you the most cost effective solution to your Satellite related need. We will not only offer you the very best Satellite related advice in Fleetwood, but will also give you the best price and service out there!!! Text 'Dish Now' to 07516 783 512 & we'll call you straight back! there isn't much we cant do! 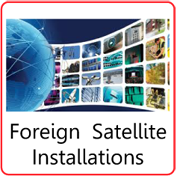 Satellite installation is one of our many abilities, and we have over 10 years experience in this and all areas of satellite system installation and fitting. With over 10 years Aerial and Satellite installation experience in both the UK and the Canary Islands, we will have the right solution for you. 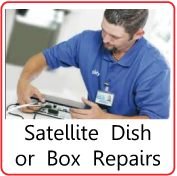 Have SKY refused to fit your satellite dish and box? Have even the High Access team been unsuccessful in fitting you the sky system? This sometimes can happen due to the limits and restraints sky put on their own engineers. In 9 out of 10 cases we can fit and install the sky Dish and system, where SKY have refused to do so. See our very unique way of getting a cable over a normally inaccessible apartment roof top! 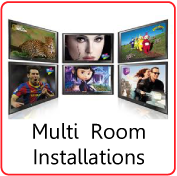 LCD Plasma TV installations & Wall Mounting TV Service Fleetwood. Here at Julian Voigt Aerial & Satellite, we can wall mount , and tune your new LCD or Plasma TV to your Digital Aerial or Satellite system or even both, as well as providing a Wall mounting service too. Interested in receiving over 200 quality channels for Free? Well you would be interested in Freesat! 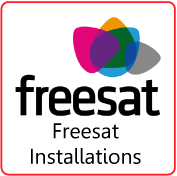 We are installers of Freesat Freesat+ & Freesat HD in Fleetwood. Sick of having to pay a monthly subscription to sky or virgin, this is a great solution.